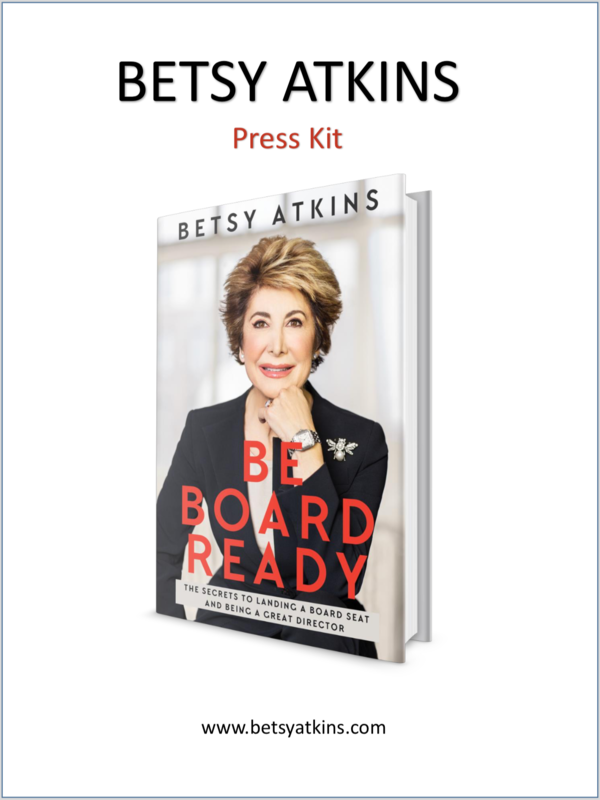 Betsy Atkins, former CEO and experienced corporate director, is a sought after resource for advice for those who serve on the boards of global, complex enterprises. Here you will find a downloadable press kit with Betsy’s bio, hi-res images and other digital assets. For special requests or press inquiries, please contact Claudia Algaze at claudia@bajacorp.com, or call 305-663-1284.